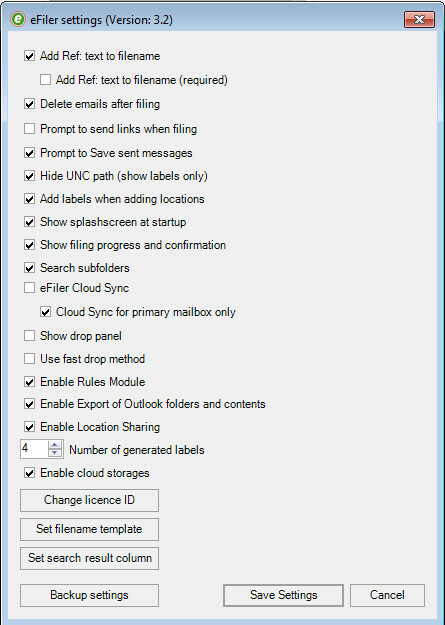 Once installed you will find eFiler in the Outlook ribbon menu. Use the big green 'e' to file emails, eSearch to find emails and eRules to automatically file emails. Our email filing tool is simple to use and language neutral! Add / remove / Share locations. 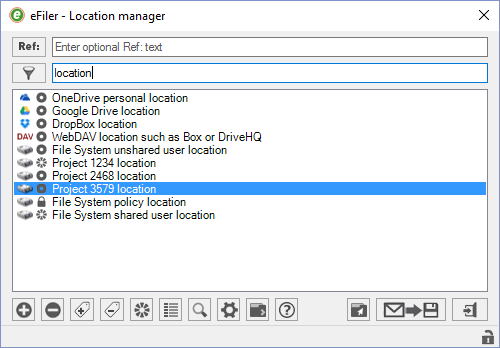 File single or multiple emails (or even export Outlook folders). Add tags to easily identify and filter for a specific location. 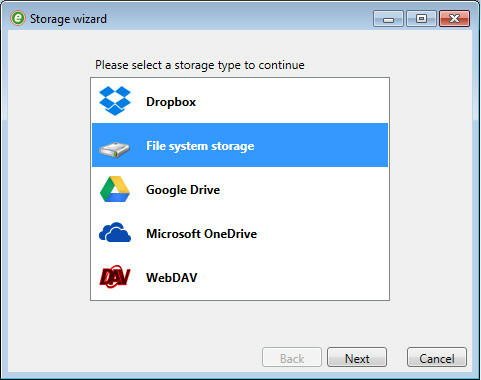 Add local and cloud storage filing locations including Google Drive, OneDrive, Dropbox and WebDav locations. The search tool is equally simple yet extremely powerful when searching for relevant content in 1000′s of emails. Use the locations remembered from filing and drill down your search results by entering specific data such as senders name or perhaps a date range. 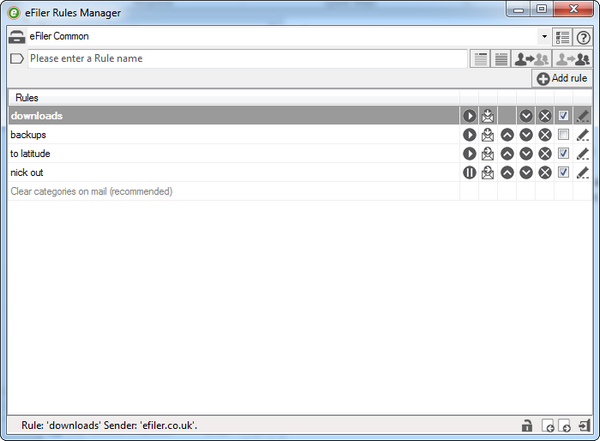 eFiler eRules allows users and administrators to create and manage rules, automating filing into network folders. eFiler has many configuration options each of which can be configured and locked down for network deployments. 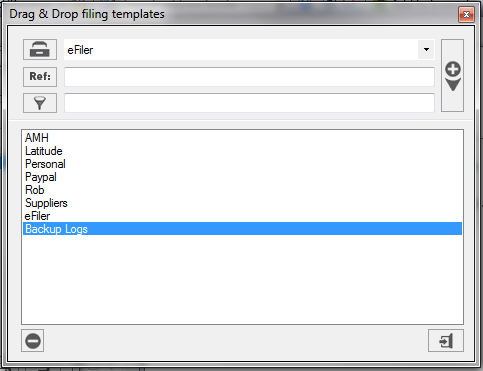 Single click email filing with the eFiler drop panel. Pre-define drop panel templates with the template manager. Pre-define drop panel templates with the template manager.